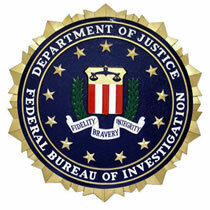 The FBI in Alaska has released a statement on the arrests of three current and former members of Alaska's legislature. The indictments charge Victor H. Kohring, a current member of the Alaska State House of Representatives first elected in 1994; former Alaska House member Bruce Weyrauch, an attorney and member of the Alaska House from 2002 to January 2007; and Peter Kott, a member of the House from 1992 to 2007 who served as Speaker from Jan. 1, 2003 to Dec. 31, 2004. All three defendants were arrested today in Juneau, Alaska. A four-count indictment returned by a federal grand jury in Anchorage on May 3, 2007 and unsealed today charges Kohring with one count of extortion under color of official right, one count of bribery, one count of attempted extortion under color of official right, and one count of conspiracy. The indictment alleges that Kohring solicited and received financial benefits from an entity identified in the indictment as "Company A," and that in exchange for those benefits, Kohring performed official acts as a member of the Alaska state legislature to further the company's business interests. Specifically, the indictment alleges that Company A, a multinational corporation that provided services to the energy, resource and process industries and to the public sector, had significant financial interests in contracts from oil producers in Alaska, natural gas pipeline legislation, and a legislative proposal called the "petroleum production tax," or PPT, that would change the taxation of oil production. "These two indictments allege that the defendants sold their offices in Alaska's State House to an influential energy company in exchange for cash payments, loans, jobs for relatives and the promise of future employment," said Assistant Attorney General Alice S. Fisher. "There is no room for bribery and extortion at any level of government - federal, state or local. We will work hard to bring to justice elected officials who betray their duty to their constituents. I thank the federal prosecutors on this case and the team of agents from the FBI and IRS for their dedication to this investigation."